Over 30 people were killed in the robbery of banks in Offa, Kwara State, earlier in the year. The court made the order following an ex-parte application filed by 10 lawyers asking the court to suspend the interrogation of Mr Saraki pending the determination of the motion brought before it. 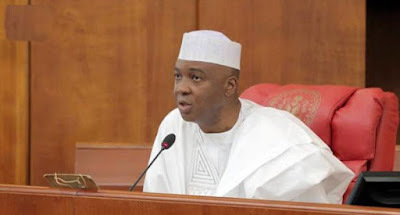 The motion dated July 30 contained a request for the court to restrain the police or their agents from arresting, interrogating, harassing or attempting to detain Mr Saraki or infringe upon what they called his fundamental rights. “The respondents are directed to stay all further actions related to the suit, pending the determination of the originating motion, which is hereby fixed for hearing on August 16,” the court ruled.